chop it up with a little brown sugar use it for puddings. For children teething. Gum, sugar, and honey of each one part, lime water, quantum suff. 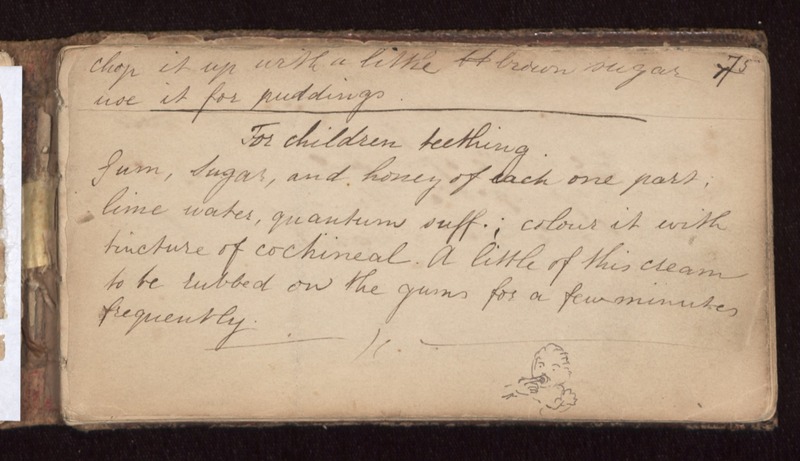 ; colour it with tincture of cochineal. A little of this cream to be rubbed on the gums for a few minutes frequently.